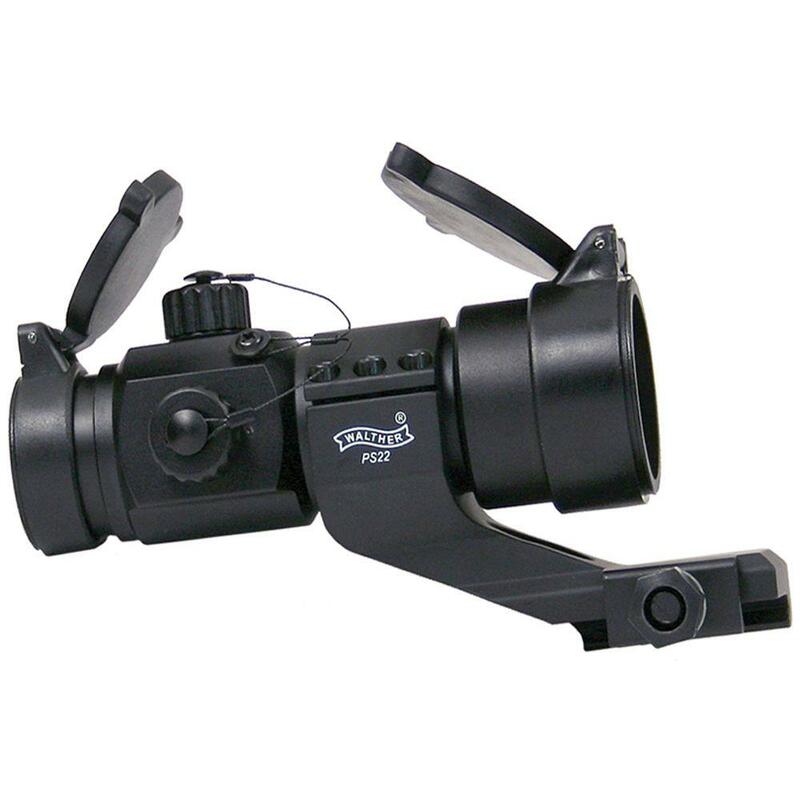 Walther PS 22 Electronic Red Dot Point Sight | New Website! The Walther PS 22 Electronic Red Dot Point Sight projects a red aiming dot onto the lens in the target level. Iron sights such as rear- or front-sights are not required, thus allowing you to aim with both eyes open. The PS22 includes a mounting base which can be affixed to a Weaver rail (22 mm), such as on the Walther G22 (soft air or firearm) or Beretta CX4 Storm (air rifle or firearm). The on/off rotary switch is combined with 11 settings for brightness adjustment. The perfect accessory for the following airguns, airsoft guns or firearms: Walther G22, Beretta CX4 Storm and Magnum Research Desert Eagle.